An employee of Tessera's Charlotte, NC, operations displays a sample of the digital optics applications the company produces via clean room manufacturing . 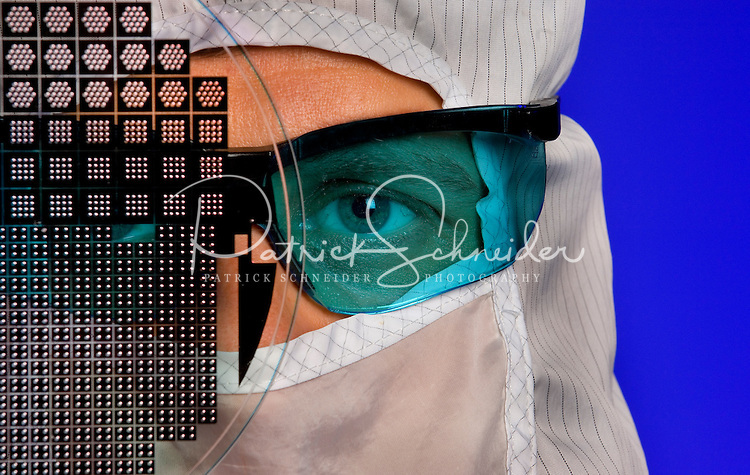 The imaging and optics company makes wafer-level optics, image sensor packaging and ?smart? image enhancement technologies, and micro-optic solutions.